(CBS News) Try as I might each week, I can never quite hold out until the Friday Music Round-Up to post some music up here on The Feed. (It's not you, it's me). And here I go breaking my resolution again this week starting with a unique a capella cover of Stevie Wonder above. Quick confession: I've been holding that video since last week (Gasp!). I know, I know, how could I betray you like that? I... I really wish I had an answer. 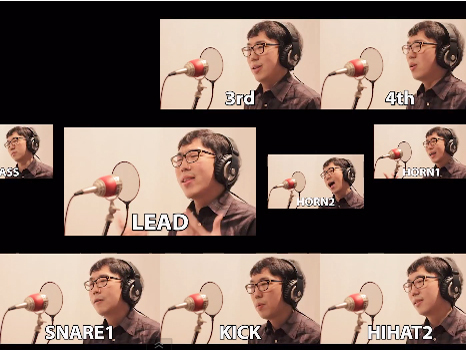 Because there is no denying that is an exceptional a capella cover of Stevie Wonder's classic "I Wish" from YouTube user Inhyeok Yeo! Up next (What? No, of course I'm not trying to change the subject after my confession), we saw a couple argue through the magic of The Beatles' lyrics last week. This week we see the legendary band get a music mashup and beatbox spin (or, more aptly, "spit") from a musician we've featured here on The Feed a few times now: Chad Neidt! Click play on the video below to watch his excellent collaboration with beatboxer Bronkar Lee (And let the music wash away the betrayal).